Encouraging words from the bible when worry and anxiety grip us. 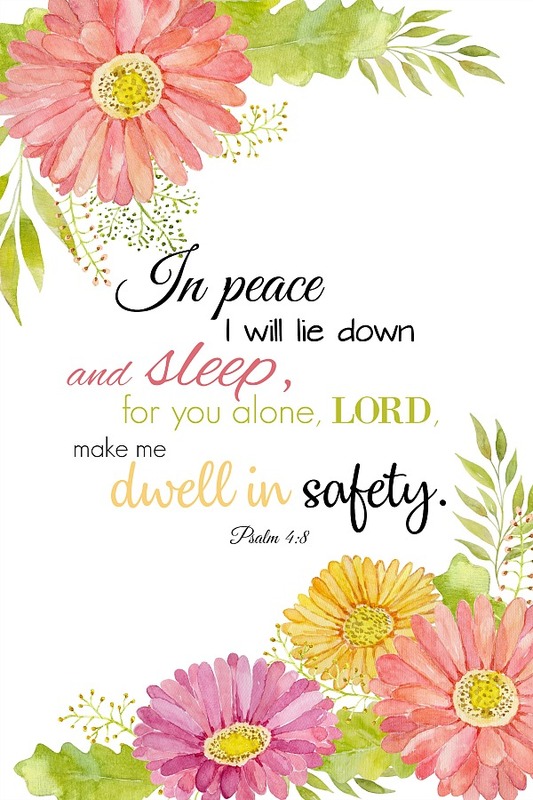 In peace I will lie down and sleep, for you alone, Lord, make me dwell in safety. Sweet Evening Hymn! I shall not sit up to watch through fear, but I will lie down; and then I will not lie awake listening to every rustling sound, but I will lie down in peace and sleep, for I have nought to fear. He that hath the wings of God above him needs no other curtain. Better than bolts or bars is the protection of the Lord. Armed men kept the bed of Solomon, but we do not believe that he slept more soundly than his father, whose bed was the hard ground, and who was haunted by blood-thirsty foes. God alone was his keeper, and that though alone, without man’s help, he was even then in good keeping, for he was “alone with God.” A quiet conscience is a good bedfellow. How many of our sleepless hours might be traced to our untrusting and disordered minds. They slumber sweetly whom faith rocks to sleep. No pillow so soft as a promise; no coverlet so warm as an assured interest in Christ. 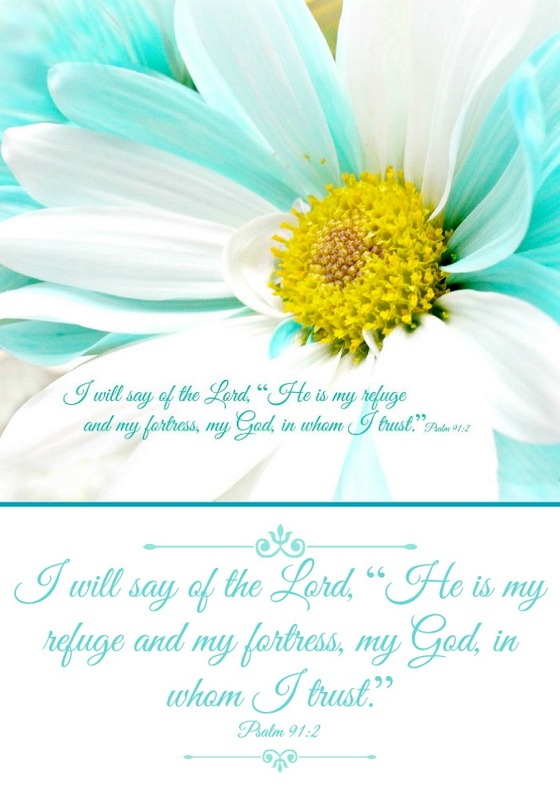 Thank you for sharing these most comforting scriptures, Lorraine, and for the thoughts. God knows exactly what and when we need encouragement. I have come to rely on His promises, and faithfulness more than ever. Thank you for your most thoughtful comment on our loss of Jack.